"$13.98 Sunday All Day Dinner"? That was enough for me. But then you say it's actually a good chinese buffet and now I will google directions to this place as soon as I'm done commenting here. I can't believe there's that much of a variety of food! i have to eat there, the photos sell and so does the review. Gotta try it when I get back to town from my Christmas Break in da South. Thanks for the heads up! In my opinion, it's as good as buffets get outside of Las Vegas. Of course, there are things to avoid, like the steamed fish (just too pasty), but that's the beauty of buffets; you can try a smidge of everything and go for seconds on the stuff that's actually good. I hope you like it. I do and I usually loathe buffets. No problem! I'm sure there will still be plenty of those steamed crab legs when you get back. I'm crossing my fingers for a GCB in Paris and in the meatime here's wishing you a Happy and Prosperous New Year, good friends, good food, and good fortune! Happy New Year and best wishes to you as well, Emily! Like I said: He *WAS* a wise man who said that. I remembered hearing the quote on Chowhound on a Chinese buffet thread, but couldn't find the post, or who said it! Of course, it was YOU! I hail from Huntington Beach and really love your blog. I relied on it for dining tips when I was visiting my parents over Christmas. Loved the Dosa Place! I'm writing a city dining guide about SoCal on my blog -- do you mind if I link to you? Link away! Expect to see a link to your food blog on my page as well. Okay, I just posted my city eating guide to Orange County, with multiple references to this blog! Hope you have a chance to check it out. Thanks again! I'm a newbie blogger to the food blogging world. But I've actually been reading different food blogs for quite awhile now. Anyways, just wanted to say hi and feel free to visit my page. There's not much posts on there right now but it's a start! Haha, ttyl! Love it all! Glad you liked Dosa Place. Too bad you didn't try Haveli just a block away. It's awesome. BTW, I linked you. Looking good! Keep it up. Hope to see more OC posts. I've linked you too. It is possible, and perfectly normal! Why, I'm craving it right now. Except, I know my growing belly would do better in a regular restaurant. Took our Lemon Butter Club members here last night, on your recommendation. Everyone had a great time, there were 17 of us. Anyways, I was quite pleasantly surprised at the quality of the food. Really enjoyed the crab and the stuffed mushrooms and the kalbi too. Thanks elmo for a great review. Thanks for the feedback! Glad to know that you liked it too. Although now I have to ask: What is a Lemon Butter Club? A bunch of my friends that like to get together to eat crab, all you can eat crab. Sometimes we go to Vegas or Pechanga, but since this place was so close, I was hoping it would be good so as to recruit more members (all friends are welcome). We gained 3 new members. :) Thanks for asking. THUMBS UP on the Lemon Butter Club! Brilliant name, by the way. last friday we attended a wedding rehersal dinner at Asia Buffet. Expecting the mediocre food normally served at buffet. We went in with low expectations. We were nicely surprised the food was very good. Egg rolls are usually not something I rave about but these were light and crispy. The shrimp was very good and the selection was wonderful. Some family from hawaii had a chance to try Crawfish.Several people were happy to get to try things they'd never tried before frog legs, snails etc. We were all very happy when we left. ( and very stuffed) We want to go again soon. One place serves all Asians, sounds good. 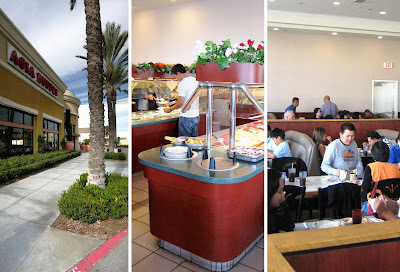 hi elmomonster, have you ever been to hokkaido buffet (long beach and newport beach). i think hokkaido is the best buffet, almost as good as vegas. 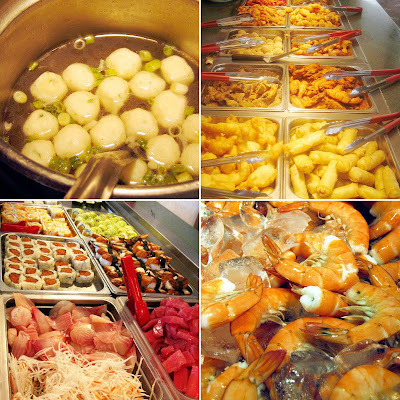 if you have been to hokkkaido, can you tell me how it is in comparison to asia buffet? Unfortunately, I haven't been to Hokkaido. So I can't compare. 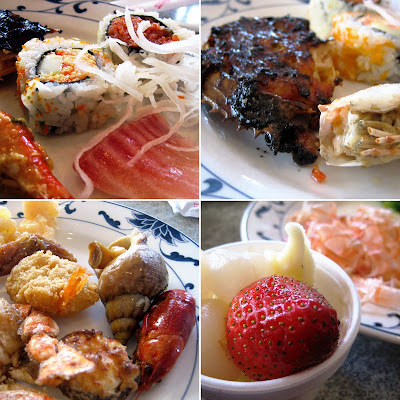 But I can tell you that I went to Asia Buffet two weeks ago and it was still great. They had king crab legs. I stuffed myself. Nicely written and all true! Best place as price, quality and cleanliness I've ever been for Asian and seafood. i went to this place a few weeks ago and i really did not like it. there were not many selections at all. 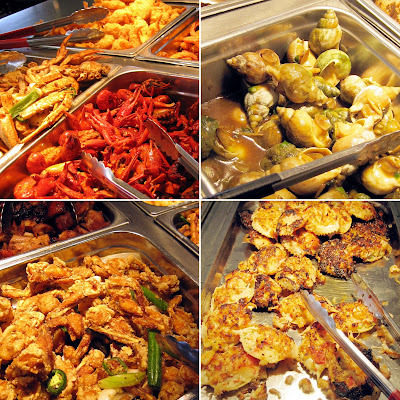 hokkaido buffet is way better, totally your money's worth!